Every workshop I teach leads to a discussion of The Title. 1. What is the purpose of a title? 2. Where should it come from? 3. How do you know if it’s any good? 1. 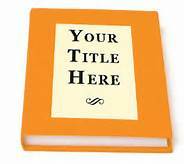 A title is to give the reader a sense of the theme or setting of the piece of fiction or poem. It is like a peek into a window that is mostly obscured by a curtain. The title helps you see into the work a little bit, but not too much. You want the reader’s curiosity piqued at first, and then after the work is read, the best titles add a layer of understanding of what the writer was trying to say. 2. It can come from many places – a line from the work itself, a clause from a well known quotation or saying, an image which has been in the writer’s mind while writing, an oblique statement of the theme. It can come to the writer while rereading or editing, or when she/he’s in the shower (that often works), or from a favorite song. It can come from anywhere. 3. Ah, there’s the rub. You feel it. And the longer you sit with it, the more you feel yourself saying, ‘of course, that’s the title.’ But like when you name a baby, it’s impossible to know if the name looks like the baby or the baby looks like the name. Either way, time passes and eventually, the novel or poem becomes the title, and vice versa. For me, after four novels, two poetry collections, and a host of short stories and poems, the experience of titling is always different. With Tangled Roots (novel 1) and Her Life Collected (full length poetry collection), the title seemed obvious to me fairly early on in the writing. The title of my poetry play, Dreams of May, came from a line in one of the included poems. A Clash of Innocents ( Cambodian novel 1) came like a bolt of lightning as I stared into space at a mountain in the distance. With Out of the Ruins (Cambodian novel 2) I played around with several titles, but pretty easily settled on the title, although I needed some encouragement from my publisher that it really was working as well as I had hoped. And that leads us to today. I have now completed the third novel in the Cambodian trilogy, and although I always knew the plot, structure, characters, themes etc, finding this title almost killed me. Looking back at my notebook I see that I sat and lived with no fewer than 12 titles as I was writing and editing. I was serious about 4 of them. One sat at the top of the manuscript until, literally, the day before I sent it to Ward Wood Publishing. But still something didn’t feel right. Then, as I finished my last read through, a new title popped into my head out of nowhere. I tried it out on a few trustworthy types (ie my family) and then I rewrote the title page and sent it off. But I will say that as I sit here writing this blog post and thinking about the title, I’m smiling. That’s got to be a good sign. Right?